When installing a whole house ventilation system, it’s vital that it’s properly designed by a knowledgeable professional and that ductwork is considered early on in the process. Christian Rehn, National Project and Design Manager at National Ventilation, talks us through the process and gives us his tips on ductwork installation. Mechanical Ventilation with Heat Recovery (MVHR) is increasingly the ventilation system of choice for new build homes. However, to install MVHR contractors will need to be familiar with the design and specification of whole house ventilation technologies and the ducting that goes with it. So what can contractors who aren’t sure how to specify this technology do? Luckily, there are design services available to help contractors secure these projects. For example, National Ventilation specialises in offering a full design service to help contractors win business. 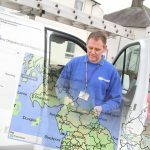 The free service supplies a full design and quotation including unit calculations, a full kit list, recommended duct routes as well as ensuring that it meets building regulations. And whilst it’s essential to select the right MVHR unit for the job, it is also important to choose the right ductwork and to install it correctly. Here are seven tips for achieving a good ductwork installation. Tip One: Design the ventilation early in the project so that the ductwork is planned in. It is vital whole house ventilation is designed early in project to ensure the system provides the correct levels of ventilation and physically works within the structure. The first step in ventilation design is to use an architect’s drawings and property details to input data into an airflow calculator to ensure the ventilation specified meets the airflow demands of each room. The correct size ventilation unit and the correct type of ducting can then be specified, whilst ensuring it complies with Building Regulations. Tip Two: Decide where best to locate all the elements of the MVHR system. MVHR units are often located in lofts, however, if there is a vaulted ceiling an alternative location is needed, such as a utility room. Next it is important to work out where to locate risers and ducting. If there is a vaulted ceiling there will be no ceiling voids to run ducting. 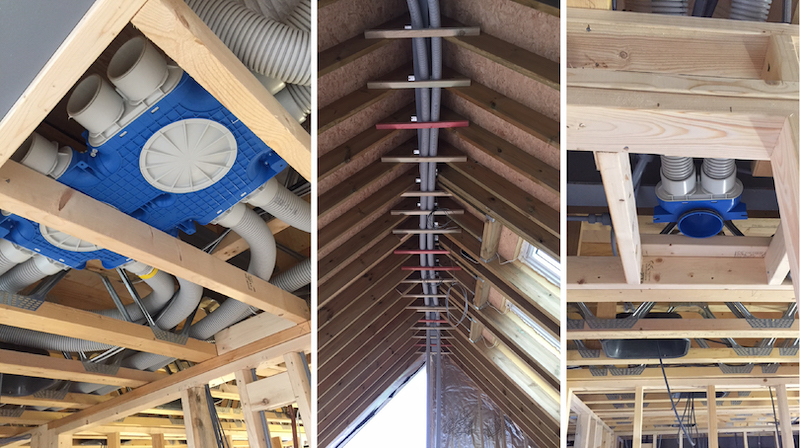 As an alternative, ducting can be run through webbed eco joists, between floors or within stud walls. Tip Three: Specify ducting that is easy to install and right for the job. Larger projects generally use traditional rigid ductwork which requires experience and time to install correctly with a number of connections needed. For smaller developments semi-rigid ducting is a careful, simple alternative that is easy and quick to install. Semi-rigid radial ducting is both low profile and flexible meaning it is perfect for installing in places where space is restricted. Semi-rigid ducting is available in lengths of up to 50m meaning far fewer connections and easy routing and supporting of the duct, when compared with traditional rigid ductwork. For example, National Ventilation’s Monsoon Radial ducting is flexible enough to fit into tight corners but still rigid and robust enough not to be crushed. It is also up to 60% quicker to install, with a Stanley knife the only real tool needed to install it. This type of ducting also means fewer mistakes, since even a novice can install it to a high standard, minimising air leakage so that the fan performs as intended. Plus, it can further help improve indoor air quality (IAQ) with options that include an antibacterial coating that is also anti-static so it doesn’t collect dust. Tip Four: Minimise the amount of connections needed. Each ducting connection needs to be sealed and with each seal there is a greater risk of a leak in the system. Traditional rigid ductwork runs down a central spine with ducting feeding from it, meaning there are lots of connections that need sealing. With flat ducting you also need to make connections every metre and then add another length of ducting, this can make installation tricky while working at height. In contrast, with Monsoon Radial semi rigid ductwork there is a central manifold with a single length of pre-sealed ducting running to the unit and the air valve, meaning there are only two joints required. To connect to a component the ducting is just pushed into the connector, turned clockwise, once it clicks twice it is sealed, with no need for tape or mastic. This makes the installation very simple so even a novice can install it to a high standard. Bends affect the airflow. Using semi-rigid ductwork means fewer bends so resistance is minimised, improving air flow, making the system more energy efficient and quieter. Tip Six: Use an induct humidistat fitted in the ducting. Traditionally MVHR is often boosted on bathroom lighting but not every bathroom visit is a shower or a bath and so systems can boost unnecessarily. As an alternative an in-duct humidistat, fitted in the ducting, means the boost only triggers when humidity rises. An in-duct humidistat also takes less time to install and is more cost effective since less wiring is needed. Installers only need to wire the humidistat back to the fan since the fan is constantly on and drawing air from the bathroom. Once the install is complete, installers should run a final check of the ducting and then commission the MVHR unit to check the airflow is correct. 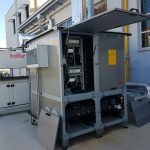 Some of the latest MVHR units, such as the IntelliSystem from National Ventilation, feature App controlled commissioning, encouraging best practice and high performance through simplified commissioning, saving installers time on site. Installers can check that the ductwork is fitted correctly via the App and can also check airflow is correct. Holding a vane anemometer in one hand, installers can use their other hand to use the App to control airflow during measurement. This avoids the need to repeatedly return to the MVHR unit to adjust fan speeds, simplifying and reducing installation time, ensuring accurate commissioning and avoiding costly call backs.